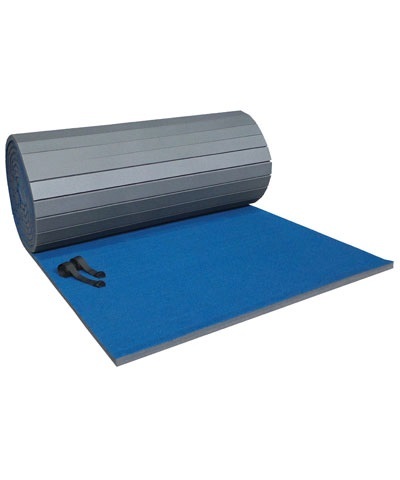 Replacement Straps for Flexi Roll® & EZ Roll® Carpet Bonded Foam . 2" wide poly pro webbing with stitched on heavy duty double buckle. Flexi-Roll® is a registered trade mark of Dollamur. EZ Roll® is a registered trademark of American Athletic, inc. 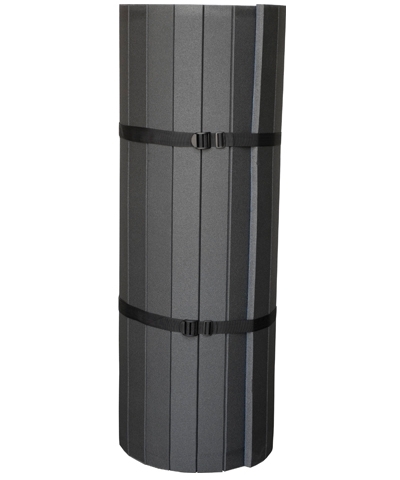 Available for 1-3/8" and 2" rolls. Add $8.50 shipping for the first strap and $2.50 for each additional strap. Shipping will be adjusted upon receipt of your order by GMR, as the internet order system will add $8.50 each. Carpet Bonded Foam and Floor Ex Foam are a general purpose mats for motor skill development, tumbling, cheerleading skills and martial arts. Under no circumstances is it to be used as a landing mat. Any activity involving motion or height creates the possibility of catastrophic injury, paralysis or even death from landing or falling on the neck, head or other parts of the body. This mat cannot and DOES NOT eliminate this hazard entirely. YOU STILL ASSUME THE RISK OF SERIOUS INJURY IN THE USE OF THIS MAT. HOWEVER, THIS RISK CAN BE SIGNIFICANTLY REDUCED BY ALWAYS FOLLOWING THESE SIMPLE RULES.